An onslaught of rhino poaching at Kruger National Park has left South African National Parks with a backlog of cases. 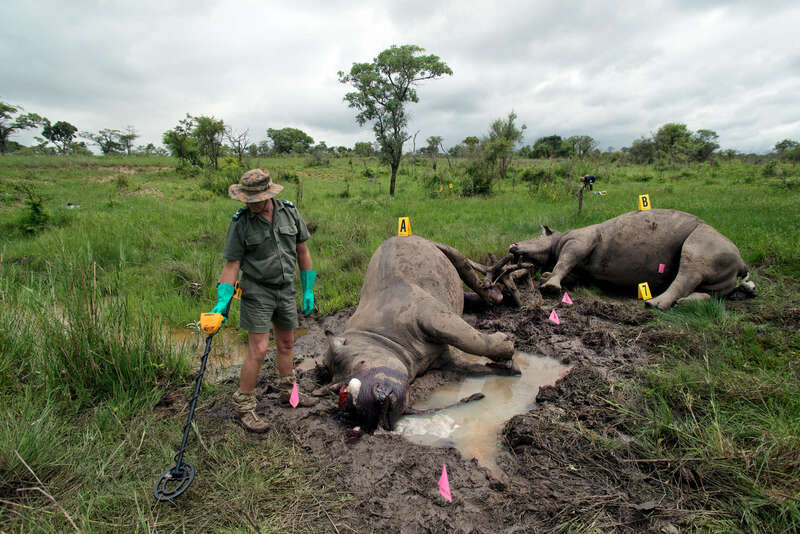 The park's forensics team inspects a crime scene 10km from the park's edge, looking for the bullets that killed the rhinos along with any other evidence. The culprit's are believed to be South African nationals and are part of a gang that have killed several rhinos, always taking only one--the larger-horn. Two rhinos were shot and killed- a male and female near a drinking hole. The female was thought to be pregnant, which is why she was accompanied by a male.